The Inamori International Center is dedicated to exploring ethical issues from a global perspective, to nurturing international awareness and understanding of our common humanity through the study, teaching, and practice of ethics, and to the pursuit of excellence in all worthwhile human endeavors. The center recently hosted the 2010 International Peace and War Summit, with participants from 15 countries. 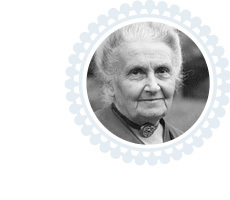 The Association Montessori Internationale promotes Montessori’s key ideas about creating a culture of peace by helping to create peaceful environments where children can experience peace in their homes, their schools, and communities. Last year, AMI joined the International Coordination of the UN International Decade for a Culture of Peace and Non-Violence for the Children of the World’s Board. Educateurs sans Frontières is a program of the Association Montessori Internationale for those in the Montessori Movement who are actively involved, or interested in working to create more harmonious neighbourhoods, communities, regions, countries, and the world through new forms of collaboration and innovation, both small and large. EsF is for people who are committed to Montessori’s core ideas on the child and social reform—who come together to discuss how they can make a difference, whether at the grass roots level or beyond. Dedicated to the unfolding of the Montessori Continuum in support of Montessori Elementary and Adolescent training, the Hershey Montessori Training Institute in Cleveland finds itself consonant with the vision that “…mankind can hope for a solution to its problems, among which the most urgent are those of peace and unity, only by turning its attention and energies to the discovery of the child and to the development of the great potentialities of the human personality in the course of its formation” (Maria Montessori). Montessori High School at University Circle affords students the opportunity to participate in what Thomas Berry has called the “great work”: an overarching perspective throughout a course of study that has unity and meaning from beginning to end, in this case from early childhood through adolescence. The great work will converge around the study of nature and society and will focus on three strands of knowledge that bring the student into contact with society or civilization: 1) the study of earth and living things as a whole (biological sciences), 2) studies related to human progress (physical sciences) and to the building of civilization, and 3) the history of humanity as a collective force (social studies and social sciences). In its simplest form, Montessori Model UN (MMUN) is a simulation of actual UN committees with students assuming the roles of delegates. The students select a country other than their own to represent at the MMUN General Assembly and must research that country’s history, culture, and political situation so that they can properly represent the country’s interests. In addition to learning about their selected country, the delegates must write position papers and learn to caucus and negotiate with delegates representing other nations and present their position in a speech.